JANUARY 2007: Mill is arrested in Philadelphia, charged with assault, drug and gun possession. According to a criminal complaint, he pointed a firearm at a police officer and was forcibly subdued. AUGUST 2008: Mill is convicted of charges including simple assault, possession of a controlled substance with intent to deliver, possession of a loaded weapon. JANUARY 2009: He is sentenced to 11½ to 23 months behind bars, seven years of probation. Common Pleas Judge Genece Brinkley says the term was "considerably shorter" than it could have been. She wrote that the court wanted to "give him an opportunity to turn his life around from selling drugs and instead focus on his musical talent." JUNE 2009: Mill is released from jail after five months and paroled under house arrest. He is given permission to work but is also ordered to earn a high school equivalency diploma and undergo drug treatment. 2010-2012: On multiple occasions, he tests positive for marijuana and opioid use but is not held to be in violation of the terms of his release. DECEMBER 2011: He is found to be in technical violation for testing positive for opioid use but is not jailed. 2012: After a court date is rescheduled several times because of Mill's "unavailability and failure to communicate with his attorney," Brinkley writes in a court document, his travel outside Philadelphia is suspended. MARCH 2013: He is found in violation of probation for traveling outside the city but is not jailed. Instead, he is ordered to enroll in an etiquette course to address "inappropriate social media use and crude language in the courtroom," court documents state. JULY 2014: He violates probation again, this time for failing to report to his probation officer, making unauthorized travel plans and ignoring the court's orders. He is returned to jail for about five months and given an additional five years of probation. 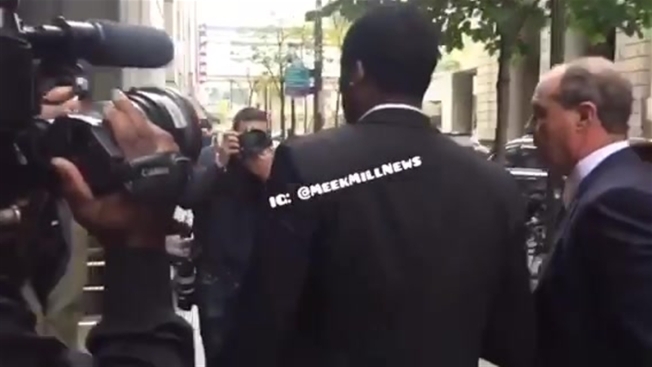 DECEMBER 2015: Mill is back in court for his fourth hearing for violations. 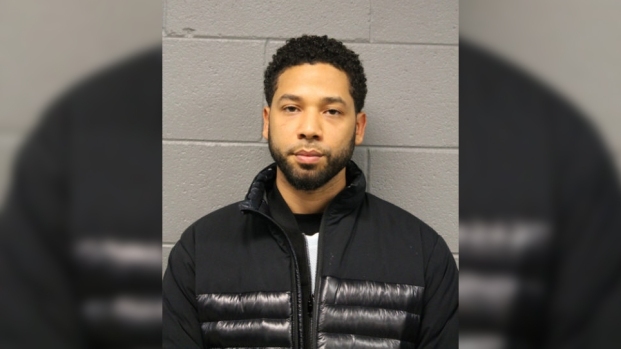 Authorities say he didn't report to his probation officer, disobeyed travel restrictions and submitted a sample of cold water for a urine test. A lab technician testifies that Mill told him that the sample was cold because he drank a lot of water. His then-girlfriend, Nicki Minaj, testifies on his behalf. Mill's attorney says his work in the entertainment business makes it hard for the rapper to comply with orders restricting his travel. Sentencing was scheduled for February. FEBRUARY 2016: He is sentenced to 90 days house arrest and is required to do community service. NOV. 6, 2017: Brinkley sentences Mill to two to four years in prison for violating probation. She cites a failed drug test, failure to comply with an order restricting his travel and two other unrelated arrests — one in St. Louis for a fight in an airport where charges against him were later dropped and the other for reckless driving in New York City where he took a dismissal deal. "You basically thumbed your nose at me," she says. The prosecutor and his probation officer recommended he not be imprisoned. Mill admits to the violations but says jailing him would likely end his musical career. "I may have made a mistake but I never had the intention of disrespecting you," he said. He's currently in a Pennsylvania prison. Mill's lawyers file appeals to have him freed on bail, and ask judge to recuse herself. They allege Brinkley has made the case personal and has assumed an "essentially prosecutorial" role. They say she suggested Mill record a version of the Boyz II Men song "On Bended Knee" and mention the judge in it. After Mill declined, the judge replied: "Suit yourself," his lawyers say. This conversation occurred in the judge's chambers and a transcript of the meeting is unavailable. Brinkley can't comment, a person at her office says. Hundreds, including former Philadelphia 76er Julius Erving and rapper Rick Ross, protested in front of the courthouse. 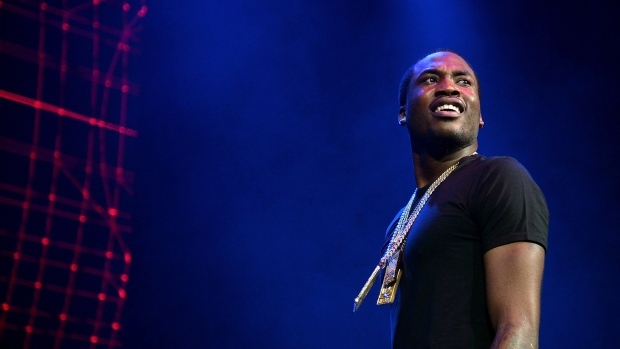 "Stand With Meek Mill' signs sprang up around on billboards and buses. The Rev. Al Sharpton visited him in prison; he says a broken criminal justice system is responsible for Mill's incarceration. An appeals court to denied to release him but instructs the sentencing judge to act "without further delay" on Mill's nearly 2-week-old request to be freed. Joe Tacopina, one of Mill's lawyers, calls his incarceration a "travesty of justice."